Symmetry Elevating Solutions offers beautifully crafted and engineered flat home elevator panels made in the USA. Select from a variety of styles including White Oak, Mahogany, Hickory, Maple and more to match any home. 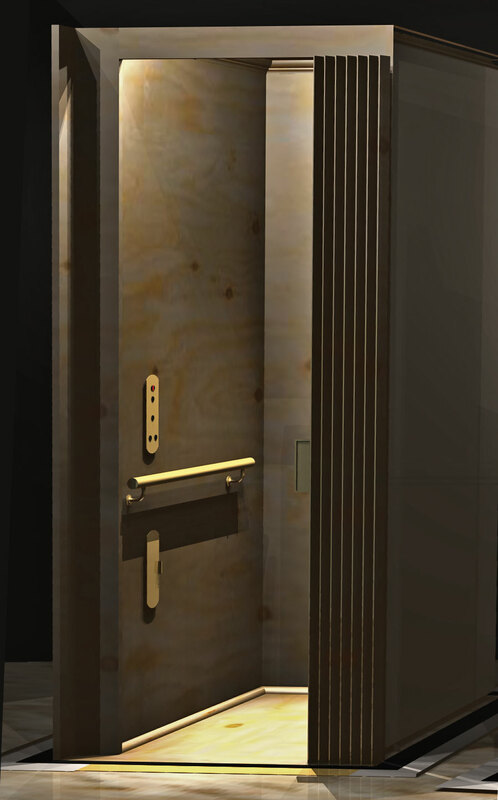 Our Flat Panel Home Elevator features a smooth wooden cab interior. Our most affordable option, flat panel styles offer simplicity and functionality to your home elevator.